The Sherwood Technology Org is proud to offer the following technology classes for the 2018-19 school year. These classes were developed and organized by Sherwood Parents and with support from businesses to support our kids. Our goal is to provide additional opportunities for the students in our community to explore the world of engineering with age-appropriate activities. ​Each trimester will will offer a 5 week long session that meets once a week for second to eighth graders. Similar to a college engineering class, each session will consist of a "lecture" where they learn the engineering principles and a "lab" where they will build more complex models to demonstrate the principle. Classes are held in the evenings and led by our High School kids under the direction of our STEM board. Parents are encouraged to help and participate in the training activities. At Sherwood Tech our goal is to establish a program for providing opportunities for kids to explore and learn from early in elementary to the high school level. We believe in parents and other students helping in the process and for the kids to give back who have gone through our courses. LE/LR classes will be offered on Monday and Wednesdays for LE/LR. The LE courses are from 5:00-6:20PM while LR is 6:30-8PM. 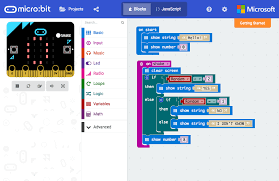 Microbit courses are Tuesdays from 5:00-6:30PM for 4-5th graders and 6:30-8:00PM for 8th graders. Rockets will be offered Tuesdays only from 5:30PM-7:00PM for 2-5 grades only and 20 kids per class based on first to register. Classes will now be held in a centralized location which is the portables at SMS by the track (Look for the signs). Once the new HS is built we are working on long term location for all future classes. NOTE: If we cannot get parent volunteers to help with the classes/labs then the course will be cancelled and money refunded. We need your help! The following sections provide some details on each of the classes that we offer. Each class is designed to provide grade appropriate challenges that progress in difficulty. Although you do not need to take the classes in order, it would be helpful as the concepts build upon each other. As the year progresses, we will continue to add more information. Click on the picture for more info on each class. Introduces students to basic concepts of building strong Lego structures and using lever, pulleys, and gears to gain a mechanical advantage. Learn the basics of programming and building mechanical attachments. 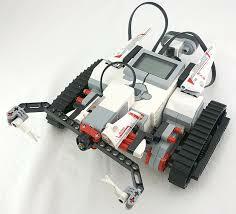 Each meeting, you will be given a different open-ended task for your robot to complete. Learn about speed vs power and controlling rotational and linear motion by building fairly complex motorized Lego models. 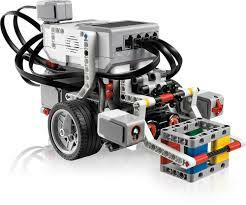 Improve the accuracy of your robot by using light and touch sensors. Learn how to build effective attachments. Starting with simple water rockets, you will apply some simple math to maximize the height of your rocket launch. At the end of the session, everyone is invited to watch the model rockets.